Hose-McCann Communications is a leading provider of total communications solutions for use on land and at sea. 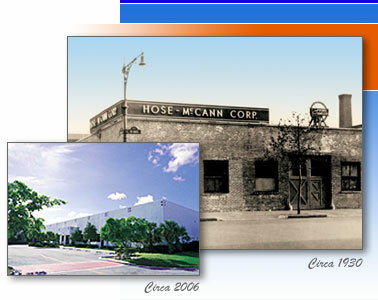 To better reflect its growing line of products, Hose-McCann Telephone Co., Inc. officially changed its name in 2006 to Hose-McCann Communications. Founded in Brooklyn, NY in 1923 by partners, Charles G. Hose and Thomas J. McCann, Hose-McCann innovated and developed the first safe, reliable and rugged sound powered communication system for marine use, for which they successfully received a patent. The system was adopted by the US Military and proved to be virtually indestructible. 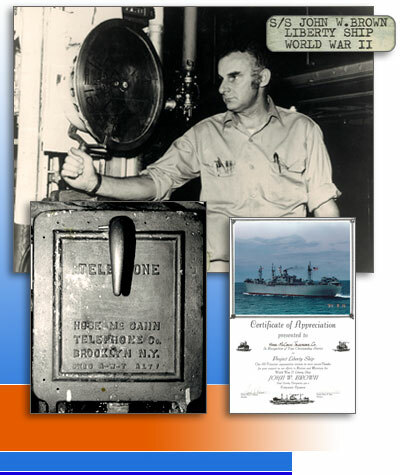 In 1994, one of the Hose-McCann telephone systems was found aboard the WWII Liberty Ship the SS Brown in perfect working order. The company was purchased by the Grande family in 1964 and eventually moved to Deerfield Beach, Florida to be closer to the booming marine and ship building industry. With the purchase of United Marine, Canada's premier communication specialists in 1999, Hose-McCann became the world's first Maritime Communications SuperStore™. As leaders in the marine industry, Hose-McCann Communications solutions are used by the US and Canadian Coast Guards, the US Navy and by the world's leading maritime nations. In addition to installations on marine vessels, Hose-McCann communication and alarm systems are installed in high-rise buildings, factories, tunnels, transportation depots and bridges throughout the United States and Canada. Hose-McCann's skilled engineering team continues to design and develop communications systems effective for both land and sea use that incorporate emerging technologies and provide customers with a more complete communications solution. In 2006 the company introduced its first true end-to-end digital integrated communications platform, HMC-ICP™. An IP-based platform using standard protocol, Hose-McCann's HMC-ICP™ allows for virtually limitless expansion. With simple plug and play CAT 5 connection to telephones, speakers, alarm systems, PA/GA, servers, wireless systems, CCTV and much more, Hose-McCann's HMC-ICP™ provides enhanced functionality, increased flexibility, and the ability to interface with legacy systems all in a sleek, cutting edge design that appeals to the most discerning tastes. Hose-McCann Communications has a long list of customers with a wide range of needs. Known for its professionalism, quality products, customer care, and knowledgeable representatives, Hose-McCann continues to distinguish itself in the technology industry as the company that leads the future while respecting the past. The company's long-standing and loyal customer base, which includes the US Navy and both the US and Canadian Coast Guards, appreciates the fact that Hose-McCann continues to supply and support its legacy systems. President and CEO Joan Grande welcomes you to Hose-McCann Communications. Our engineers and production teams will work hard to design, custom manufacture, install and support the most reliable communication system that makes sense for you! We invite you to call us at (954) 429-1110 to discuss your specific communication needs. If you prefer, you may contact us through our online form. Hose-McCann is dedicated to providing you with safe, reliable and cost effective standard and emergency communication solutions. Our commitment to quality is reflected in our ISO 9001:2015 Quality Assurance certification, and our systems are ABS Type approved. Additionally, we are a designated "Blue Ribbon Vendor" for the US Navy and a Defense Department gold medalist for "Automated Best Value". Learn more about our full line of products. We look forward to providing your communications future.